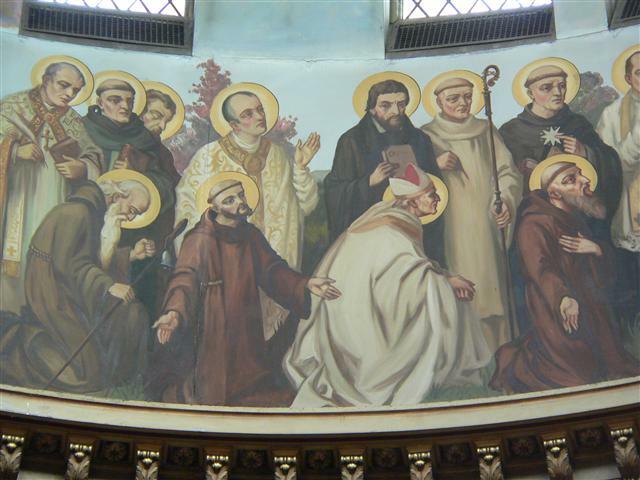 St. Norbert (French, c. 1080-1134), Bishop of Magdebourg, whose feast the Church celebrates on June 6, is depicted in a in a group of twelve figures identified as “Monks, Hermits, and Religious” in the dome of our church. In this photo, he is the kneeling figure in white, wearing a mitre. Legend has it a porter refused to let Norbert into his new residence, assuming he was a beggar. When the crowd pointed out to the flustered porter that this was the new bishop Norbert told the porter, “You were right the first time.” Photo credit: Gary Kelley. Sunday, June 1 at 3:00 ~ Trinity Series Concert: Swingin’ n the Aisles – Charles Reedy and Friends Band. Tuesday, June 3 at 7:30 p.m. ~ Choir Rehearsal in St. Charles Hall. Thursday, June 5 at 8:00 p.m. ~ Bingo will be played in St. Charles Hall. Saturday, June 7 from 10:30 a.m. to 12 Noon ~ Helping Hands Food Pantry in St. Charles Hall. 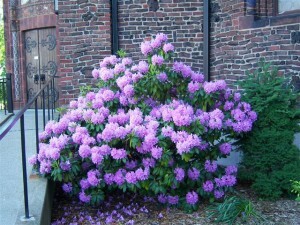 Saturday, June 7 from 2:00 – 4:00 p.m. ~ New York Path Through History Open House and guided tours of our church. Saturday, June 7 at 8:00 p.m. ~ Bingo will be played in St. Charles Hall. Coffee Hour on Sunday, June 1, sponsored by the Holy Name Society. Trinity Series Finale this Sunday ~ Blessed Trinity will close out its 2013-14 concert series on Sunday, June 1 at 3:00 p.m. with the Charles Reedy and Friends Band, affiliated with the Colored Musicians Club of Buffalo. The band brings an exciting mix of jazz, blues, gospel and swing tunes to have you “Swingin’ in the Aisles.” Musicians include: Darrin Bland, Stanley Day, Robert Garrett, Dement Orman, Larry Salters and of course band leader Reedy. Vocalists Joyce Carolyn and Sandra Gilliam will add their own special touches to the “cool” sounds of this special group of performers. Everyone’s invited to join in the festivities next Sunday – come and bring a friend or neighbor!! We have some extra flyers as well, if you know a good spot to hang them for people to see. There is a suggested donation of $10 and the proceeds will be used to fund restoration efforts at both Blessed Trinity Church and the Colored Musicians Club, part of the Michigan Street African American Heritage Corridor. Blessed Trinity Welcomes “Travelers” Next Saturday ~ Blessed Trinity will participate in New York’s statewide Path Through History Weekends program. On Saturday, June 7, from 2:00 – 4:00 p.m., the church will be open for tours, and docents will highlight features of both the exterior and interior of our house of worship. Throughout the afternoon, visitors will also be able to view a video of craftsmen and materials involved in maintaining and restoring several of the church’s impressive architectural features. The event is free and open to the public, so invite your friends and neighbors to stop by and see what goes into making BT the unique Buffalo Landmark it is. This event is part of the New York State Path through History Weekends highlighting arts and culture in communities in Western New York. For more about our open house, click HERE. 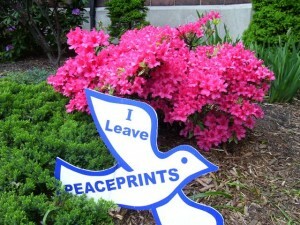 Visit: http://www.paththroughhistoryweekends.com/Events.aspx to identify other area sites participating in the Path Through History Weekends. Attention Women of the Parish ~ The Sodality’s annual June Dinner will take place on Wednesday, June 25 at 6:30 p.m. The organization will be hosting a catered dinner in St. Charles Hall. Our after dinner speaker, Dr. Bonnie Flickinger, will introduce us to “Flowers of the Bible.” Watch this space for menu and reservation information. We welcome all women of the parish and their guests. Collection for the Catholic Communication Campaign ~ On June 7/8, our parish will take up the Collection for the Catholic Communication Campaign (CCC). This Collection equips us to share our experience of faith, worship, and witness with the world through Internet, television, radio, and print media. Half of all proceeds remain in our diocese and support local needs, so please be generous in this collection. A Compassion Ministry has been developed to assist our Catholic Churches of Central Buffalo (CCCB ) faith communities with the pastoral care of persons in need and to assist the pastoral care staff with visits to the sick and home bound. The Compassion Ministry committee has created an eight-week training session to support people as they visit with someone who is ill. This includes: The Role of the Christian Minister; Developing Supportive Relationships; Reviewing Settings of Visitation – Hospital, Nursing Home, or Home; Discussing Grief and Loss Issues; Eucharistic Training for those in ministry to the sick; Hospice, Dying and Palliative Care; Dealing with Transitions/Change; and Record Keeping, On-going Support; Care Giver Support. The eight week training experience begins on Thursday, June 5, 6:30 – 8:30 pm at St. Lawrence. Spaghetti Dinner ~ St. Lawrence Youth Ministry will hold a spaghetti dinner on Friday, June 6 from 5:00 – 7:00 p.m. in St. Lawrence Parish Hall located at 1520 E. Delavan Avenue. Spaghetti, sausage or meatballs, salad, roll, ice cream & a drink, all for a $5 donation in advance and $6 at the door! Extras a la carte. Tickets after all weekend Masses, weekdays at the rectory & clinic, or at www.CatholicChurchesOfCentralBuffalo.com. Proceeds to benefit Youth and Mission activities. This year’s Mission Trip to Appalachia is co-sponsored by the CCCB and the Pontifical Mission Office. Have a good meal for a good cause.